Artwork by Travis Hetman, Andy Whorehall, and Dave DeCastris. 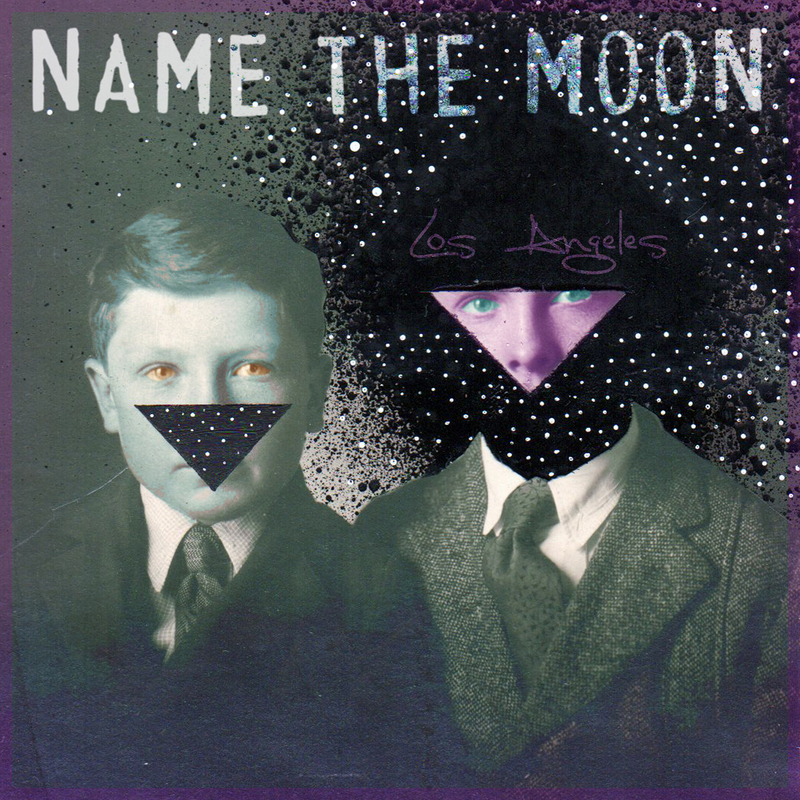 Name The Moon is a Midwestern American rock band consisting of Derek Luttrell, an accomplished young songwriter, Mossy Vaughn from The Heavils and Lizard Skyward, Jerry Sofran from Vanishing Kids, Scott Ford, veteran musician for many regional acts, and Gavin Epperson of Taboo Blah Blah. The Rockford, Illinois based collective was formed in 2015 by Luttrell and Vaughn to serve as an experimental outlet from their respective bands and solo work. Name The Moon’s original songs and live, space-jam performances are dressed up with cinematic, genre-bending soundscapes influenced best by 1970s transistor radio frequencies weaving through moonlit walks in Paris to wake up sweating at 4:24 a.m. to the hard-work reality of life in a post-industrial, midwest-American wasteland. Northern Illinois’s abundance of fast-food joints and sloppy marital affairs meets the limitless potential of outer space and intergalactic climax on Name The Moon’s self-titled debut. It was recorded at The Midwest Soundrecording studio in Rockford throughout 2016 and will be released by IDOL Records in January of 2017.